Night guards can help relieve tension in the jaws for patients who grind their teeth. Dr. Behroozan mainly prescribes them for alleviating pain in jaw muscles and the temporomandibular joint (TMJ). In addition, such guards aid in preventing further destruction of existing healthy teeth. All guards made involve a meticulous process that is custom made for each and every patient. They are all equilibrated, and balanced so that there is a stable, even movement to help provide comfort. 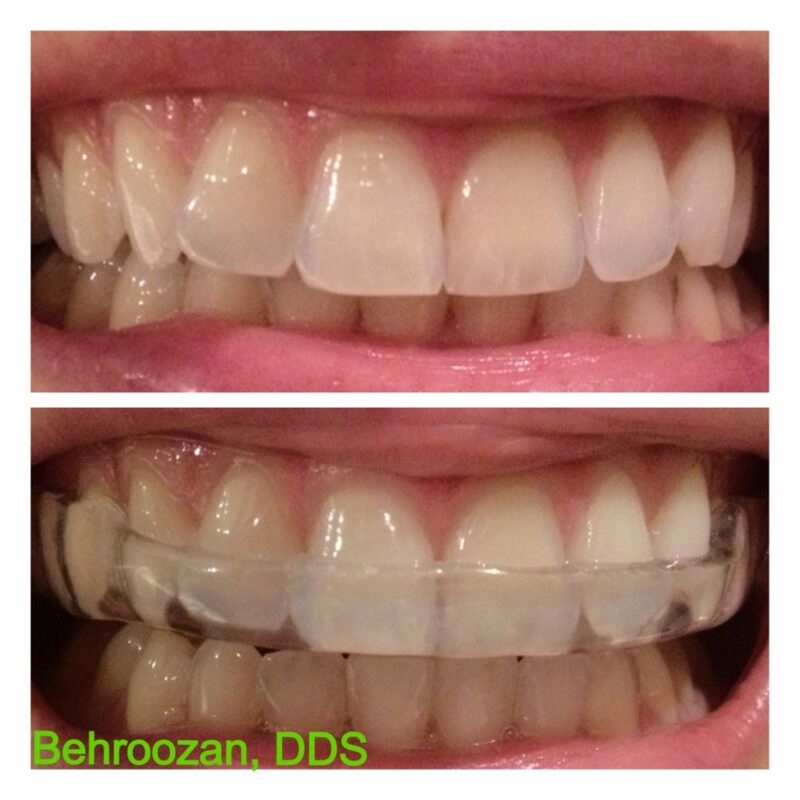 The custom, snug fit of the night guard also serves as a retainer to keep teeth from shifting. Snoring appliances are also offered. Currently there are several different options available. Dr. Behroozan prescribes the option best suited for each patient taking into account the severity of the snoring and sleep apnea. These appliances are also custom made and are powerful and effective options to help open the patient’s airway and allow more oxygen to pass. As a result, an open airway reduces snoring, improves breathing and thereby provides for a better nights sleep.